The question today is: are you sleeping awake or awake sleeping? In areas of life- physically, spiritually, financially, career-wise, relationship-wise, et al…Are you consciously ‘performing‘ or forcefully ‘faffing‘ through life? I bet you felt like you caught the Holy Ghost in the middle of those lines 👐😂💯…Although stay with me for a while. You see there is a lot of veracity in that song, the devil could have taken us for a ride, coz we were ‘awake sleeping‘ on this spiritual race! So, when the Bible says in 1 Thessalonians 5:17, ‘Pray without ceasing.’ I promise you, this is not a cliche. 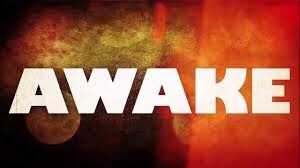 There are Christians ‘sleeping awake‘ and those that stay ‘awake sleeping‘. In simple English, those fervent in prayer and those slacking in prayer, as the case may be. The great thing is, I can’t even judge myself, lest another…Since the day I met this scripture, I said this can’t be rocket science, it has to be of Grace. And, this Grace led me to stumble on a book that spelt it out. So, in days when I’m taking a walk, I’m thanking God in prayer for the ability to do so (You know thanksgiving is a type of Prayer, right? )…In moments I’m working on a PowerPoint presentation, I’m praying for beauty in my life (I personally love the final beauty of presentation slides)…Interestingly, the book recorded that in days when you do chores, pray that things are getting perfected for you (in the spirit of ‘getting cleaned’) and on and on. Therefore, we must remember to focus on staying awake, in all areas of life at this point. You see, the best kind of impact is made when we concentrate on the ‘awake’ aspect of life! Trust me, you would understand when you relate the posts…Drop a comment if you need me to spell it out. Wait a minute, please drop ideas that explain the question of the day– Are you sleeping awake or awake sleeping? This is a lovely piece. It is apt, tact and very savvy .